It’s December! Are you ready for gingerbread? 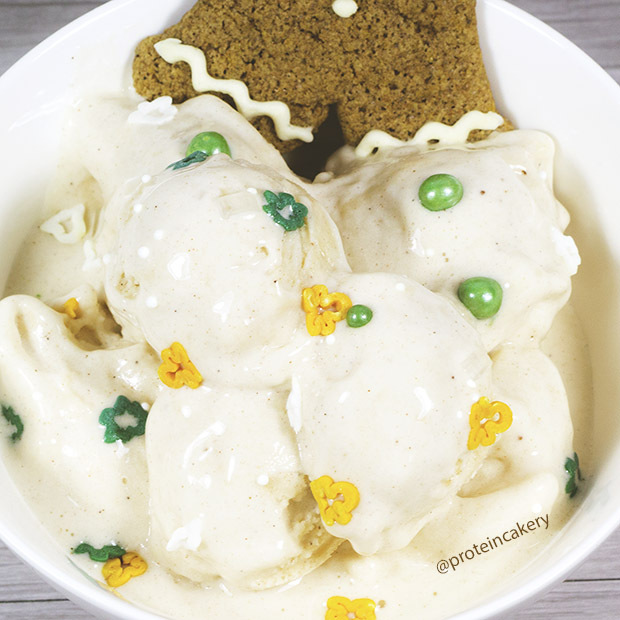 This Gingerbread Protein Ice Cream with Natural Gingerbread Sprinkles is super-easy to make, and it hits the gingerbread craving with 44g protein! I made a simple Gingerbread Protein Ice Cream with Jamie Eason’s Vanilla Whey Isolate, unsweetened almond milk, and spices. That’s it! 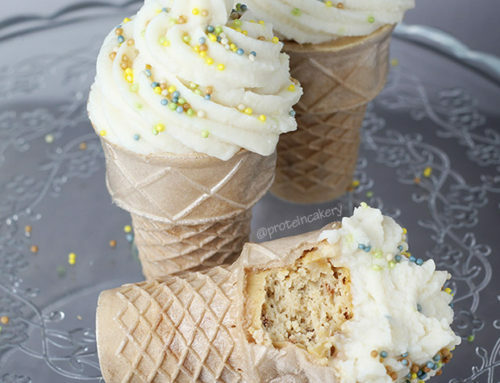 The protein powder is very creamy and rich, so this simple recipe works well for great ice cream texture. I made the ice cream in a Cuisinart Ice Cream Maker, but you can also pour the mix into a container and freeze, stirring every half hour or so. Another option is the ice and salt method. The Natural Gingerbread Sprinkles are a new item in our shop. 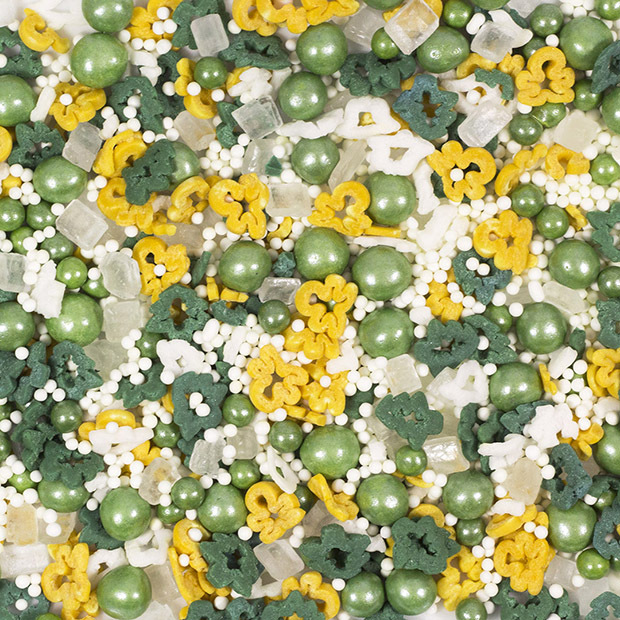 Such a fun holiday sprinkles mix with no dyes or anything artificial! The Gingerbread Protein Cookie in the photos is from our Gingerbread Protein Cookie Mix. It’s a big cookie, so it would be half a serving as on the package prepared. 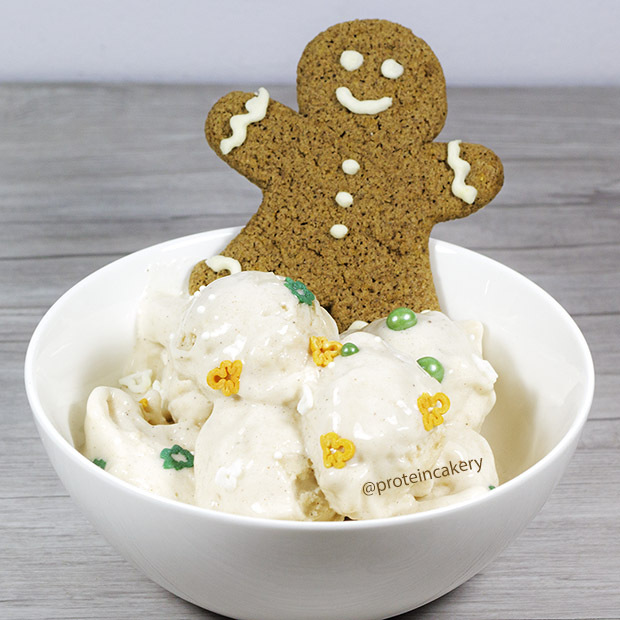 You can’t beat the macros in this Gingerbread Protein Ice Cream, and the Natural Gingerbread Sprinkles make it so very merry! I hope you’ll give it a try! Blend almond milk, protein powder, and spice. Or freeze for several hours, stirring every half hour or so. The nutrition facts above include 3g of erythritol carbs. Without the cookie and sprinkles, the macros are: Prot: 39g, Carbs: 10g (6g fiber and 6g sugar), Fat: 8g, Cal: 266.